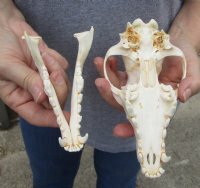 African black backed jackal skull (canis mesomelas) measuring approximately 6-3/4 inches long and 3-1/2 inches wide. 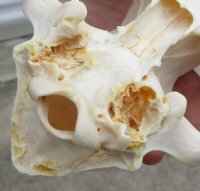 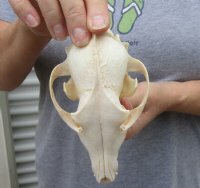 Very minor damage back of skull - Review all photos. 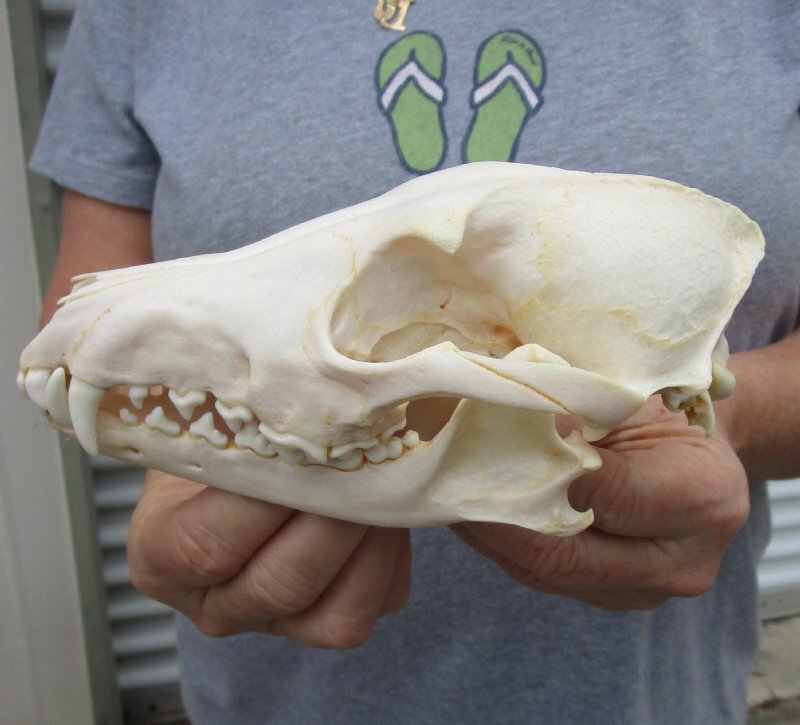 This jackal skull is ready for display and is perfect for skull collectors and collectors of weird and unusual items. 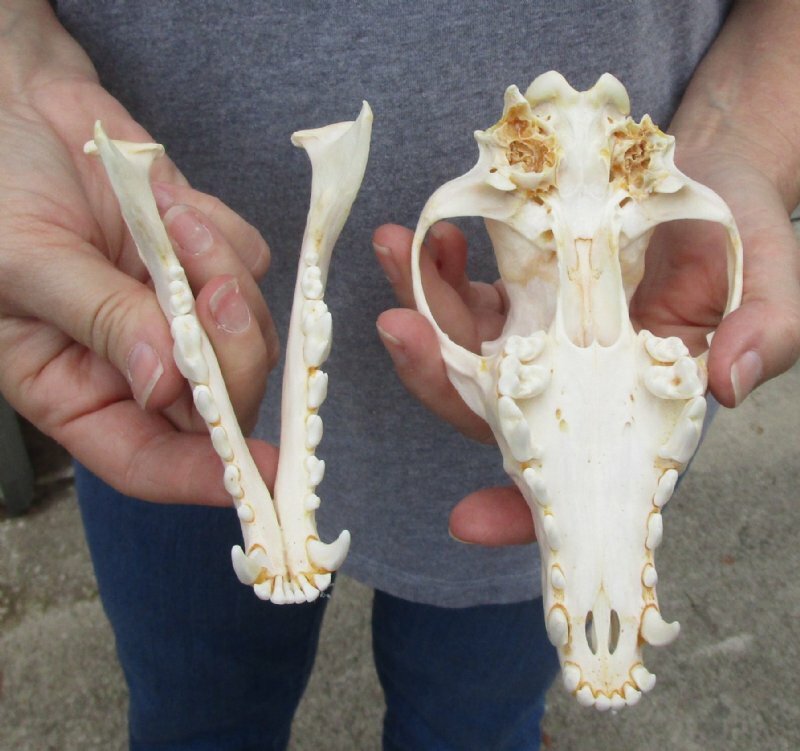 All of our jackal skulls are commercial grade and imperfect. 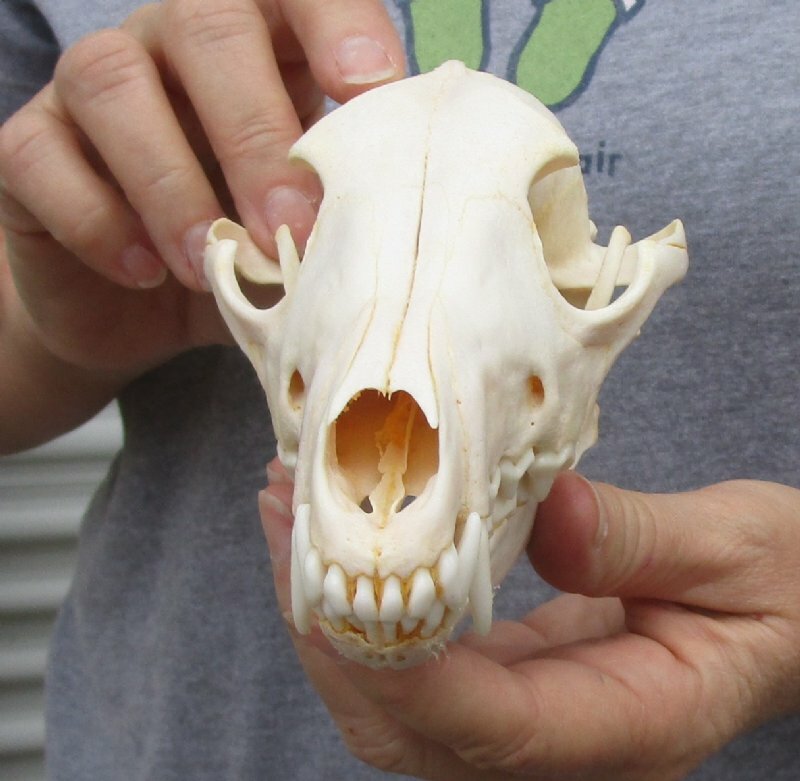 They will have imperfections due to the natural aging process and living in the wild--scars, blemishes, rub areas, broken and missing teeth, bug bite marks, etc. 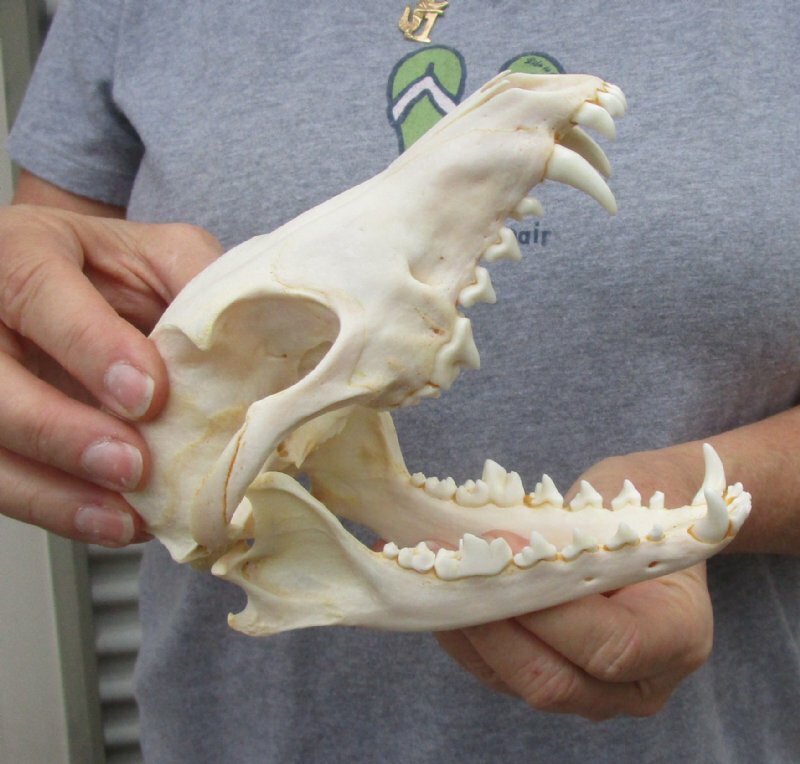 This jackal skull was professionally cleaned and cleared by the U.S Fish and Wildlife Services and U.S Customs Services for legal entry into the United States. Please look at all the photos. 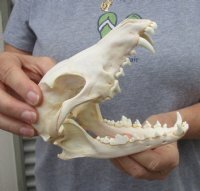 This is the jackal skull you will be purchasing.